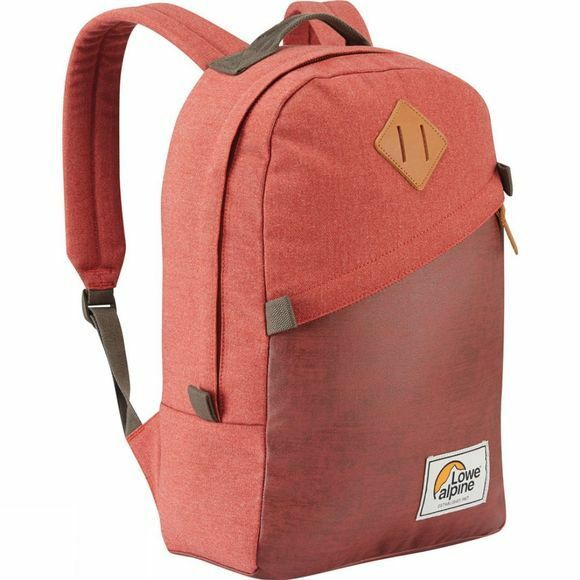 The Adventurer 20 Rucksack from Lowe Alpine's Teton Range is a classic styled pack that offers excellent durability for everyday use on the high street. The main compartment is generously sized and boasts a laptop compartment as well as organisation pockets and an internal zipped pocket with a key clip. This makes finding things much easier, particularly your keys that all too often will end up right at the bottom of your pack by the time you actually need them. Another pocket sits on the front of the pack, also zipped and because it sits on the outside it has been reinforced with extremely tough fabric for enhanced durability, as this is the area of your pack that will often see the most abrasion. A great piece of kit for those who love the outdoor lifestyle and those who want to reflect this heritage in their day to day kit.